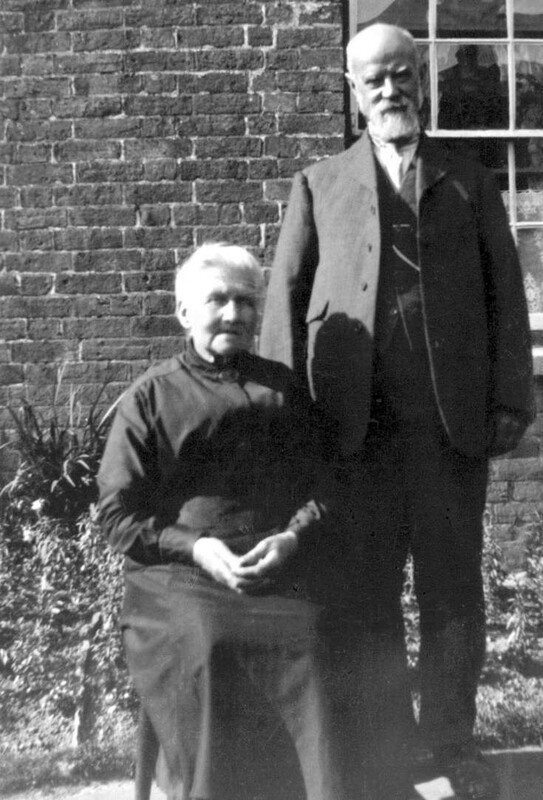 The photograph is of William Tulley (1861-1954) and his wife Elizabeth Tulley (née Heath) (1861-1937). Almost certainly there are in the garden of 2, Triangle Cottages, Staplefield Road, Handcross, where William plied his trade as a boot repairer. See picture #71.